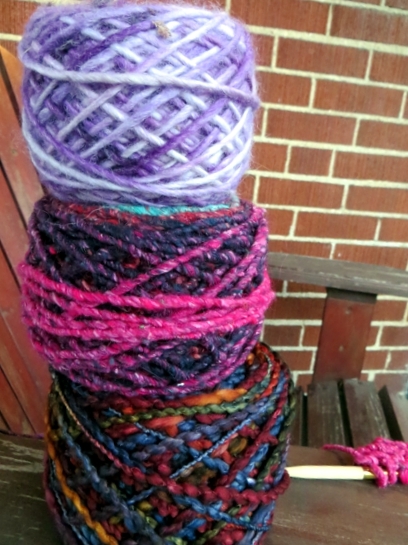 Obviously we all know this even if many of us don't bother, but if you're knitting something fitted, or you have a limited amount of yarn, you really have to do a gauge swatch. Otherwise your finished project has only a possibility - and a slim one at that - of coming close to the end product of the pattern you're using. In fact, if you look through the Projects tab on the Ravelry page for a pattern you're considering, you will almost certainly find a ton of size-related remarks like "This came out way too small!" and I am almost certain that this is true for one of two reasons. One, that knitter picked the wrong sort of yarn. Two, s/he used the needles specified in the pattern instead of doing a gauge swatch. And that's really what is the pits about knitting. You can't just buy needles and yarn and go merrily on your way. 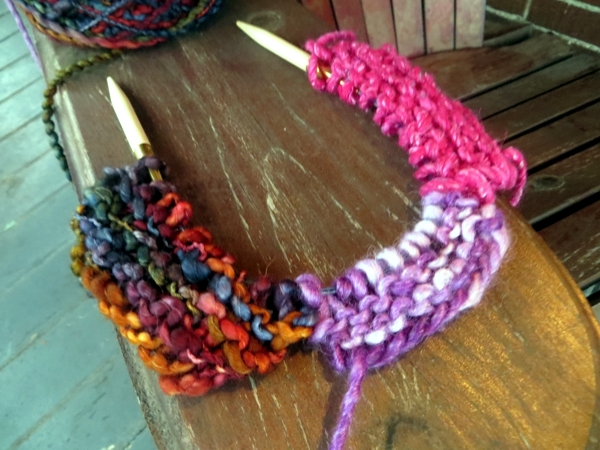 You really have to buy three or four sets of needles and yarn, because everybody's tension is so different that you will probably have to try at least that many different sizes before you hit on the right gauge for your pattern. So much more expensive than advertised. Still: gives us all an excuse for accumulating insane amounts of knitting needles, right? And now for today's silly but related story. Three cakes in varying degrees of Bulky weight. One cowl pattern requiring a standard width. All to be knit on one size of needle because it's all I had handy and was not going to go hunting for any others. 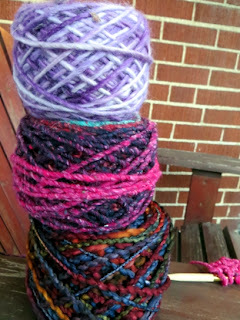 Upshot: I needed to confirm how many stitches to cast on for each yarn, so as not to mess up. I also needed to do this quickly - as in, in 20 minutes - before carting one of them off for travel knitting. In my panic I felt that getting the three stitch counts onto an index card with the pattern stitch was essential for efficiency. This approach probably didn't save me as much time as it felt like it did, but it sure was compact and kept me from racing around looking for needles, which is something. Really helped me compare how the three yarns were going to work, too - which is where I think it would come in handy another time, when comparing yarns side by side for a particular pattern. And that's me for today. Hope you get some crafting in before nightfall and I'll see you tomorrow! 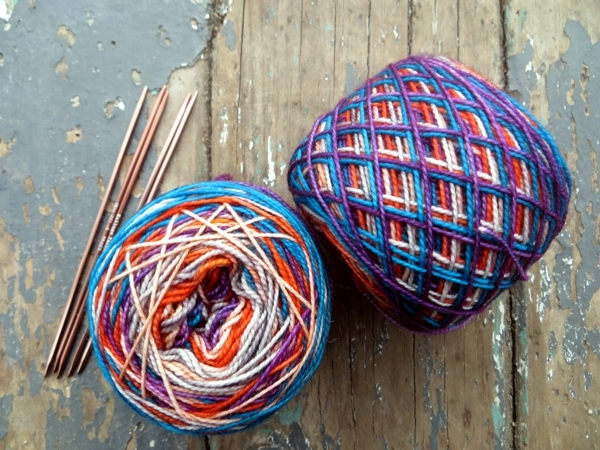 Pop quiz: what kind of a knitter are you?